Private aircraft charters are useful. They allow charter travel to thousands of airports around the world. This includes several that are not open to commercial airlines flights. However, not all companies that arrange private flights are created equal. It is very important to do research and be educated about the private aircraft charter company you select, as well as it’s dedication to flight safety. Charter Flight Group is committed to providing the safest private flight charters for every client. Charter Flight Group meets its strict safety goals by obtaining ARG/US and WYVERN safety reports on every private flight it books. We insist that all of our private charter aircraft partners to be fully in compliance with regulations, Part 135 of Title 14, of the Federal Aviation Administration or FAA for short, or the EU OPS and EASA, the equivalents in Europe. Charter Flight Group verifies the qualifications and experience of all pilots. We also monitor the maintenance and insurance records on our private charter aircrafts. Maintaining these safety requirements in real-time elevates Charter Flight Group above our competitors. The safety standards we have will continue to be meet and exceeded. This is to promote confidence and peace of mind for your private aircraft charter travel. The FAA regulates and controls the operation of all aviation in the United States -commercial, private and chartered. Before an aircraft or private aircraft charter operator is permitted to fly the general public as paying passengers, they must undergo a lengthy investigation and certification process. In the case of private charter aircraft, the governing regulations are found in FAR Part 135 [insert FAA link; see below and apply to aircraft and equipment, flight operations and limitations, pilot and crew member qualifications, maintenance, training and record keeping. In some cases, FAR Part 135 regulations are more stringent than Part 125 which governs large commercial aircraft. Charter Flight Group mandates that all aircraft and private charter flight operators meet these regulations and maintain up-to-date certification. The FAA also imposes rigorous qualifications on pilots of private charter aircraft. They must have spotless police records, be medically certified by an FAA examiner, and meet minimum training and flight-hour requirements. To pilot anything other than their own personal aircraft, pilots must have a commercial pilot’s license/ certificate issued by the FAA and must meet strict training and flight time requirements. Before a non-military pilot qualifies to carry passengers, he/she must have four to six years of flight-time and testing. The highest-rated charter pilots in the U.S. are ATP-rated, which means they possess an Airline Transport Pilot certificate and are authorized to carry more than 9 passengers aboard scheduled and private charter aircraft with a maximum gross weight exceeding 12,500 pounds. Private charter aircraft pilots must meet many of the same requirements as commercial airline pilots. With more than 30 years in the industry. Charter Flight Group is dedicated to supplying clients with professionally maintained private charter aircraft and the finest, most highly trained flight crews. To augment the safety of our private aircraft charters, Charter Flight Group utilizes some of the best third-party safety and auditing agencies in the aviation industry. Since 1991, Wyvern Consulting Ltd. has performed safety audits on charter operators around the globe. The actual on-site audits last two to three days and scrutinize the aircraft and pilots. Charter Flight Group clients can be assured they are receiving a superior service than they may get with others because our WYVERN-authorized status gives us access to information that few private flight charter companies have. If your charter company is not WYVERN Authorized and does not display the WYVERN seal, they may not be able to accurately verify the safety of your business jet charter. Another example of Charter Flight Group’s dedication to maximum safety is our subscription to the TripCHEQ program provided by Aviation Research Group/U.S. (ARG/US). ARG/US performs safety audits and ratings on charter operators around the world through the TripCHEQ program. Charter Flight Group’s access to the ARG/US system allows us to perform due diligence on a flight-by-flight basis to ensure the safety of your private flights. ARG/US assigns red, yellow or green ratings, Charter Flight Group will always recommend the green rating as the highest standard for your private aircraft charter. Safety rating of the private aircraft charter operator. 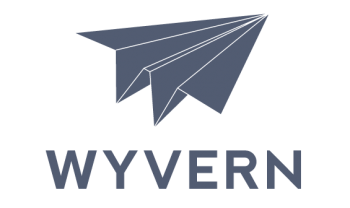 WYVERN-verified safety reports about your aircraft and crew. Your private flight is in the hands of aviation industry experts.